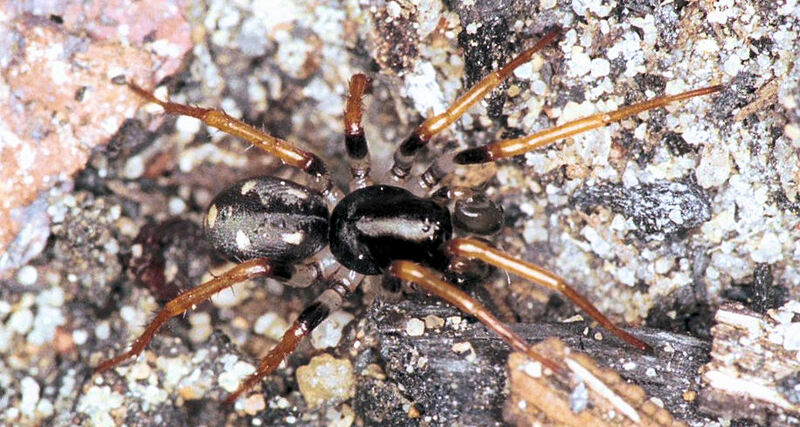 This family has 20 described genera that contain at least 110 species in Australia. 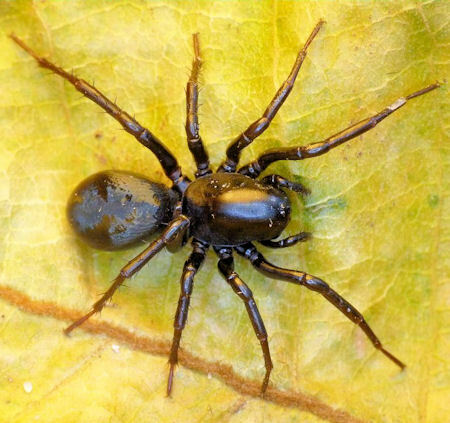 These spiders are usually small (up to 15 mm). They are fast-moving, terrestrial and live between litter and under stones. Some species lives in burrows. Most forms have the head raised very high at the front, where it slopes steeply in a vertical plane. 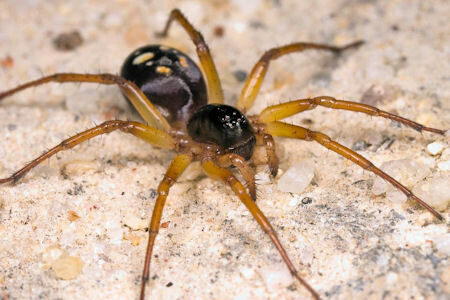 Carapace, abdomen and legs are sparsely hairy and shiny, usually reddish brown or dark coloured with sometimes white and coloured spots on the abdomen. 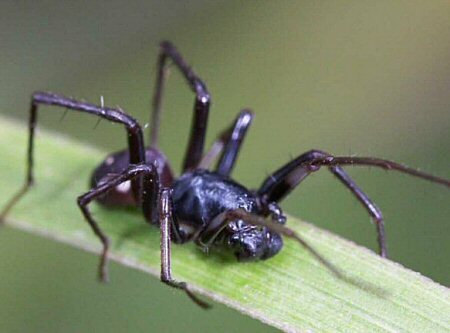 Their jaws (chelicerae) are massive and the palps on the males are like giant clubs. 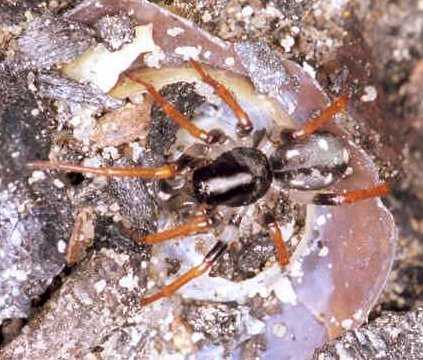 Some Storena species are active ant-hunters. 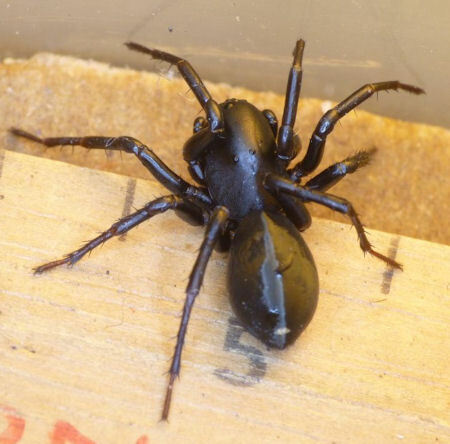 Their European name for some species of this family is ant-hunting spider. 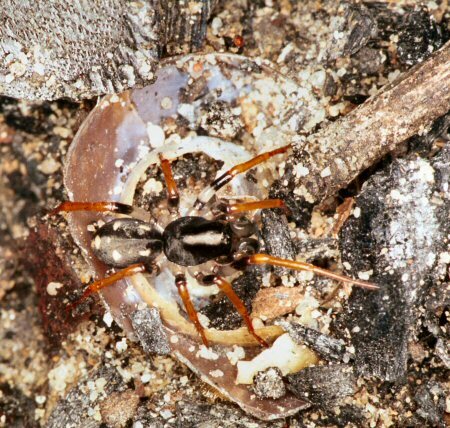 Storena formosa is a very common spider that builds her nest with palisades around it. 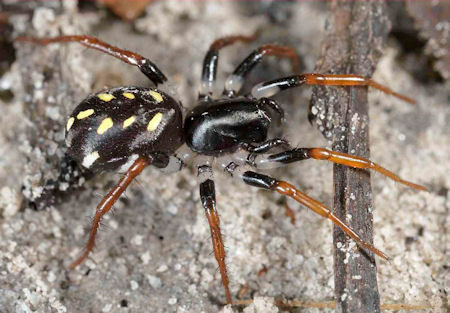 It is a spectacularly coloured spider that resembles the Gnaphosid Sunpunna picta. 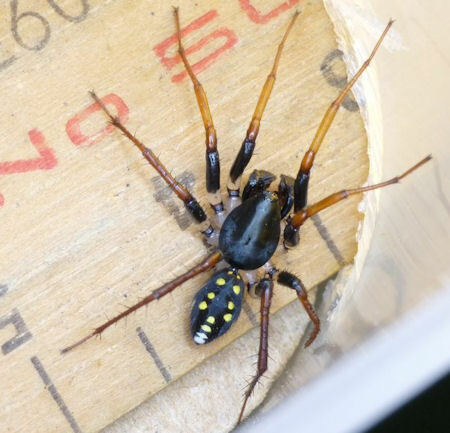 The body and legs are reddish and the dark reddish black abdomen has five yellow spots. 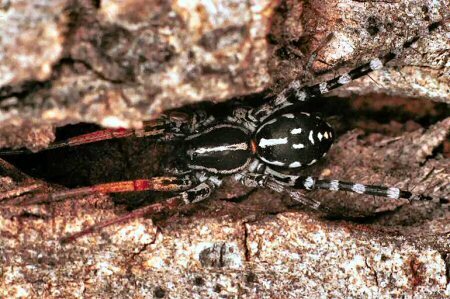 Storena maculata is less reddish and has white spots on her abdomen. 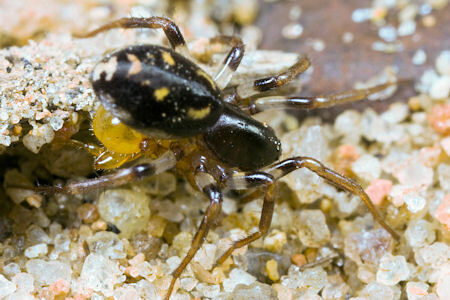 Storosa obscura is a fast running spider than can be found on the ground between litter. Its size varies between 11 and 13 mm . 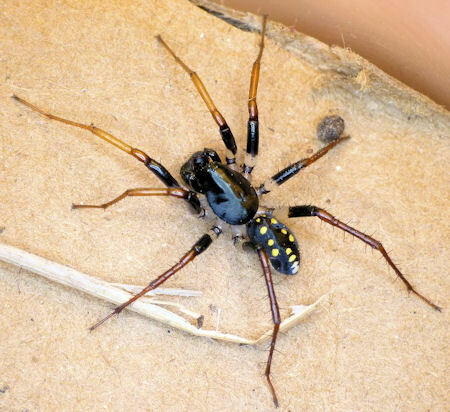 It waves it front legs when threatened. 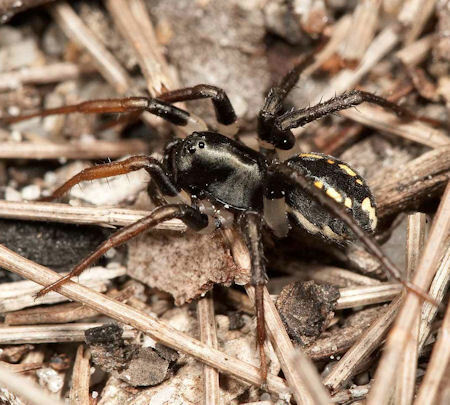 This fast running spider can be found on the ground in shallow burrows in eucalypt forests. It size is between 12 and 14 mm .